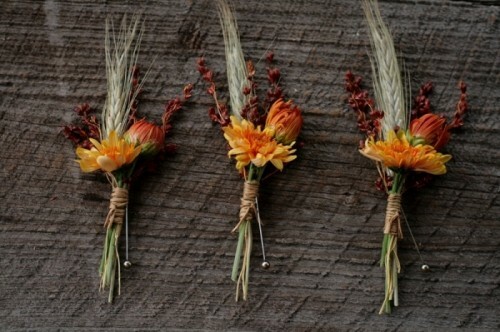 Fall wedding season is close! 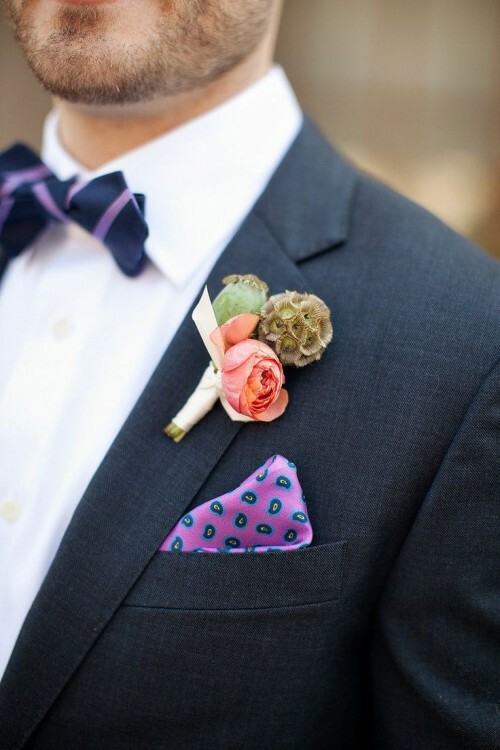 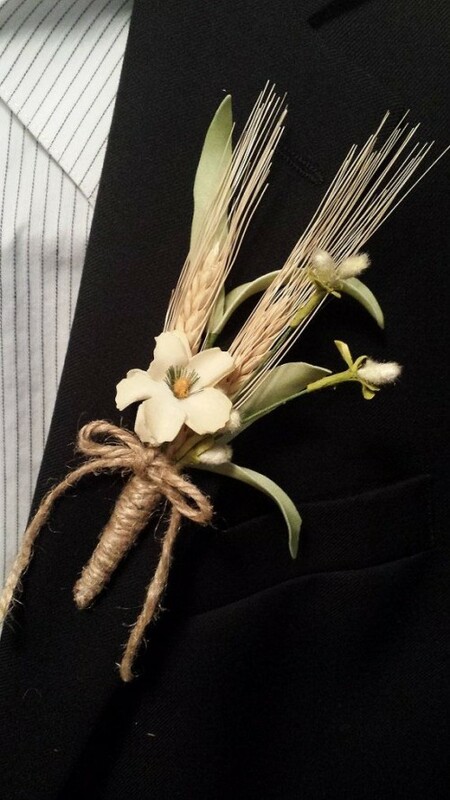 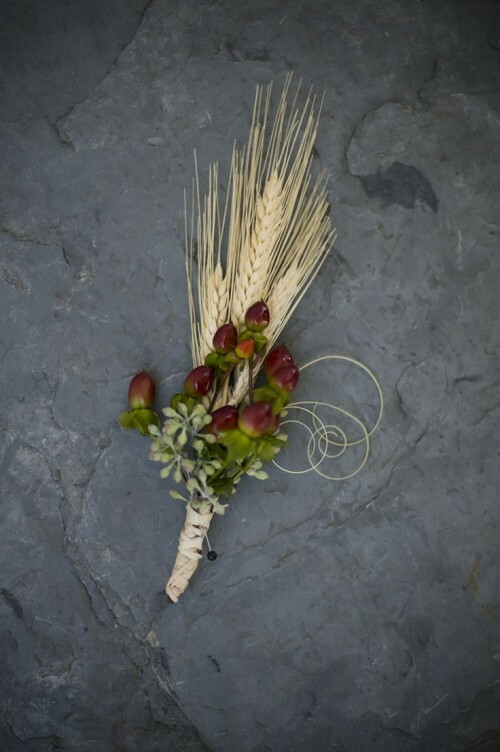 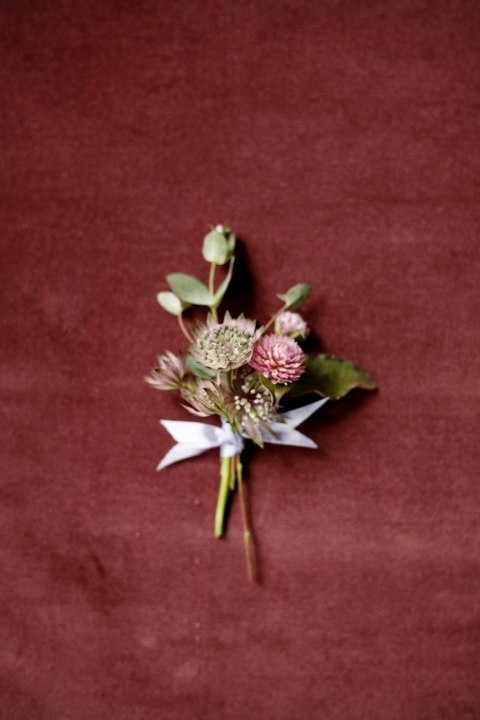 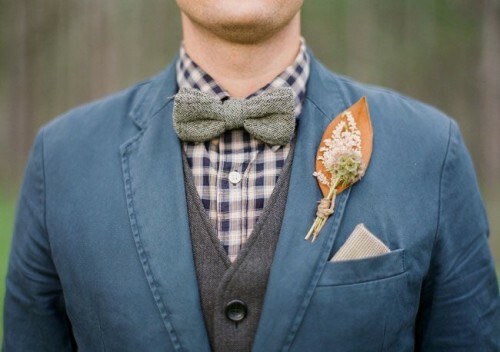 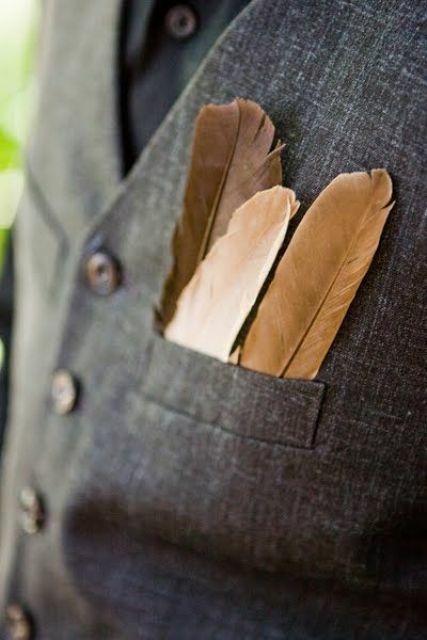 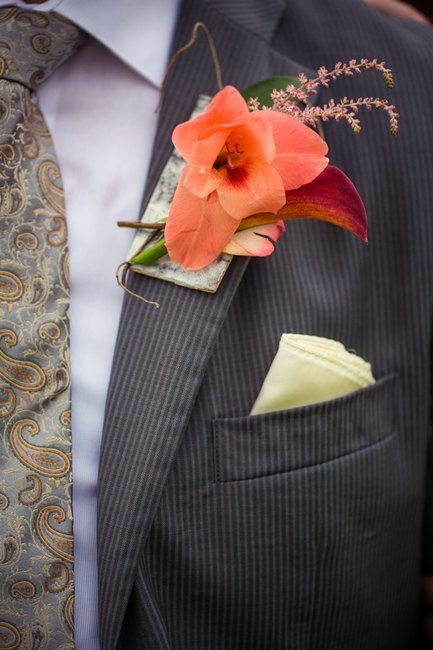 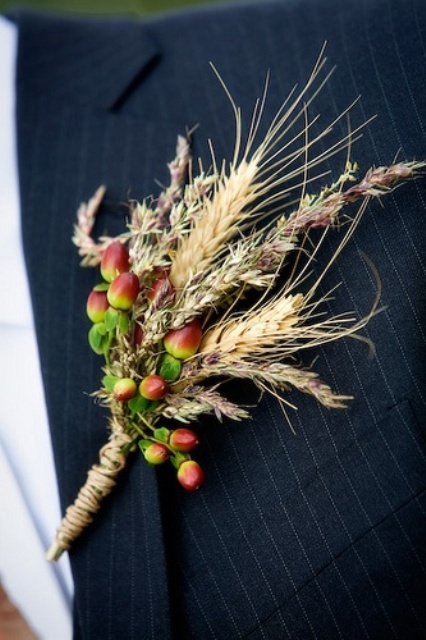 Getting ready for a wedding, it’s better to think over every single detail, and a boutonniere is no exception. 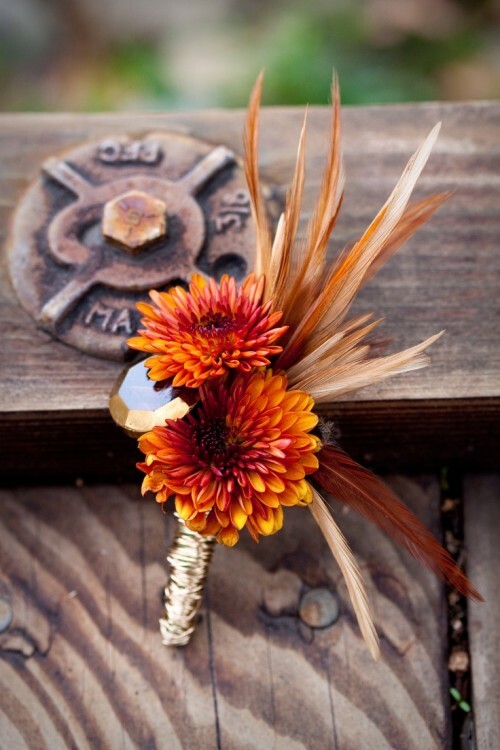 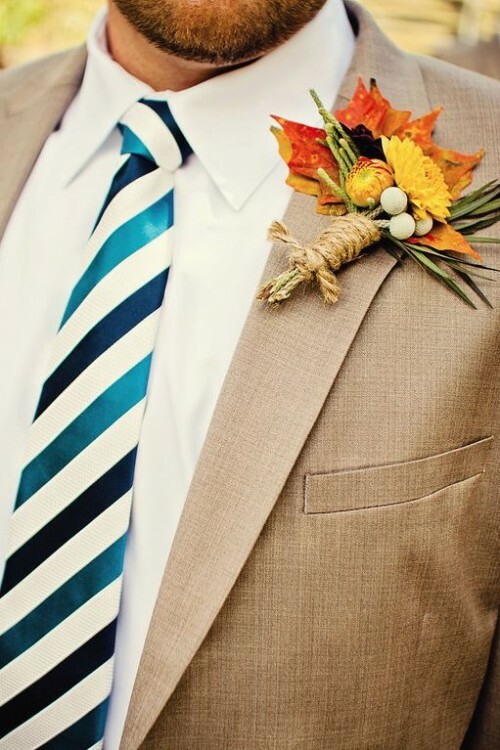 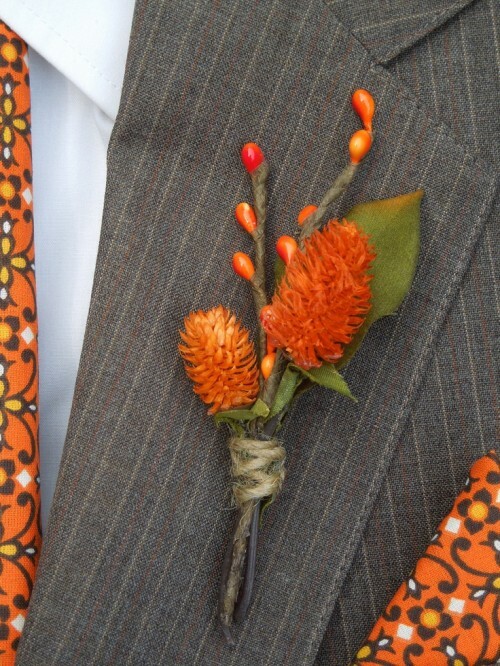 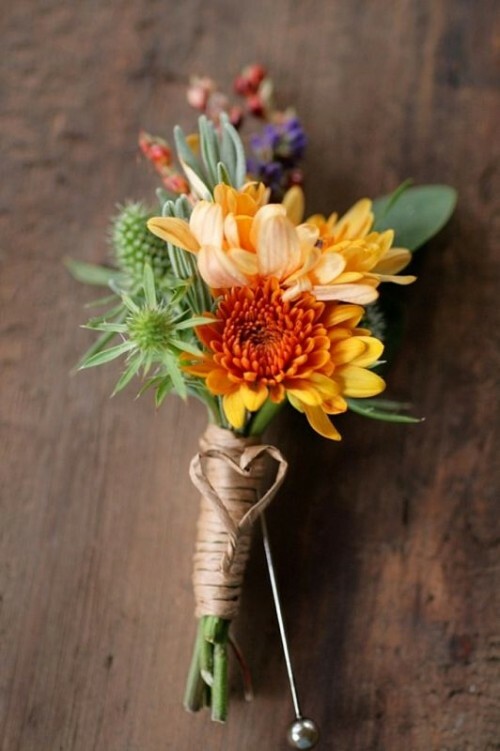 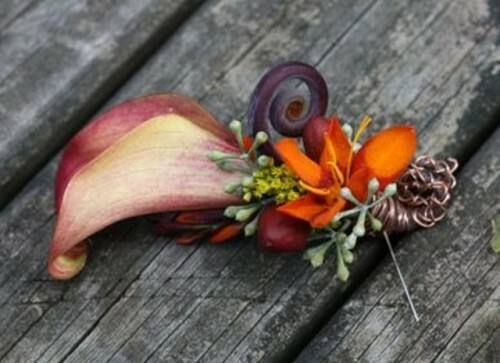 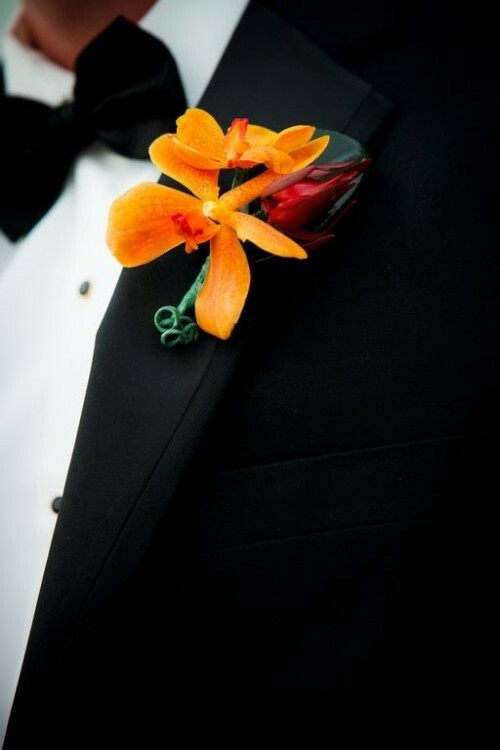 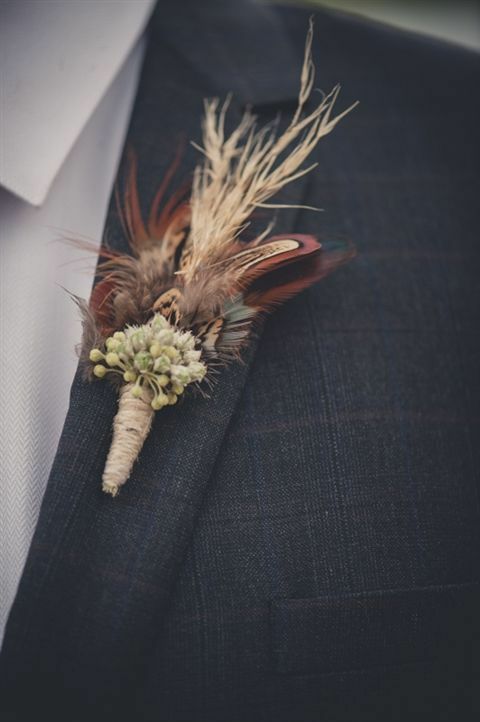 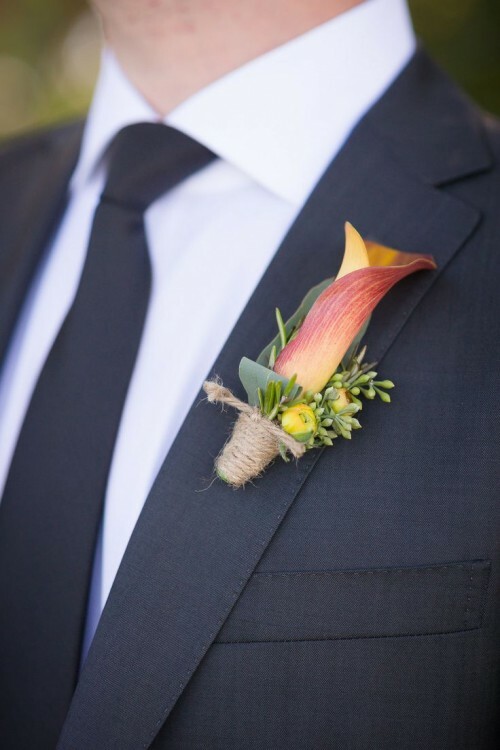 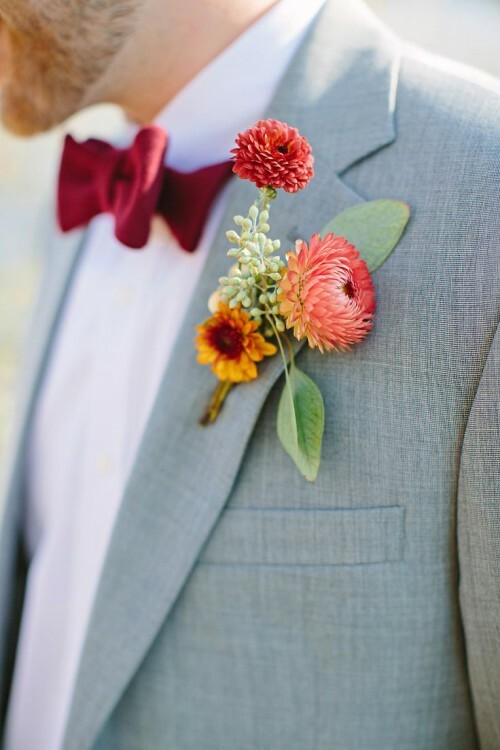 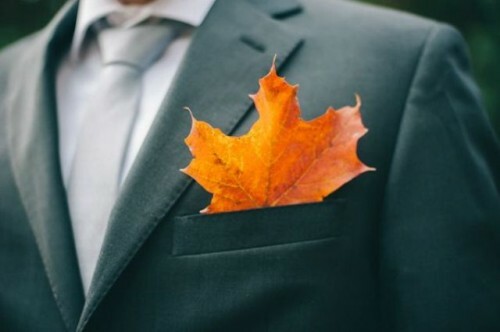 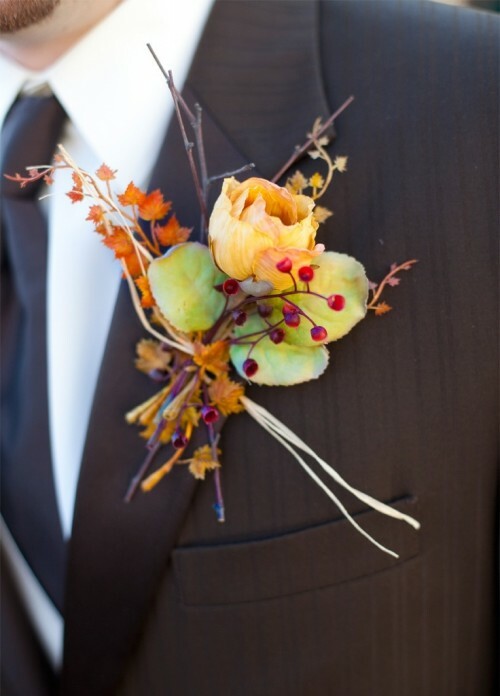 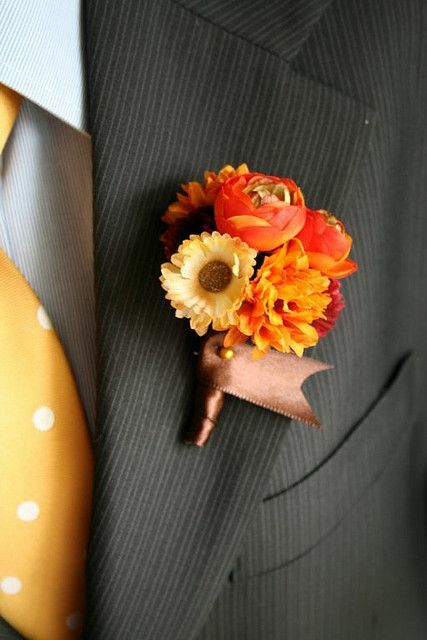 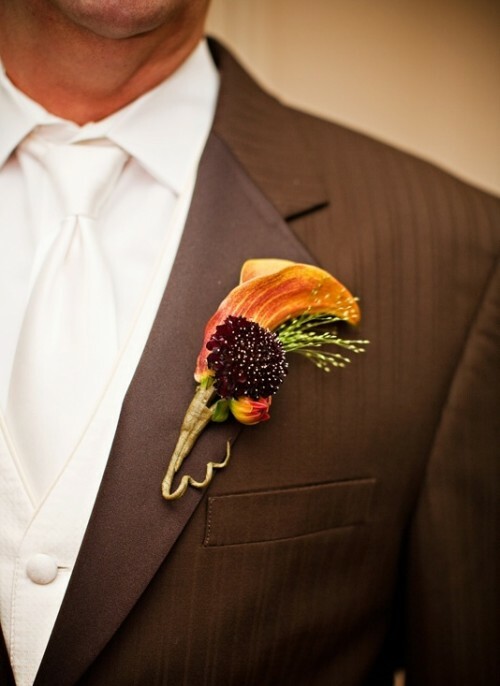 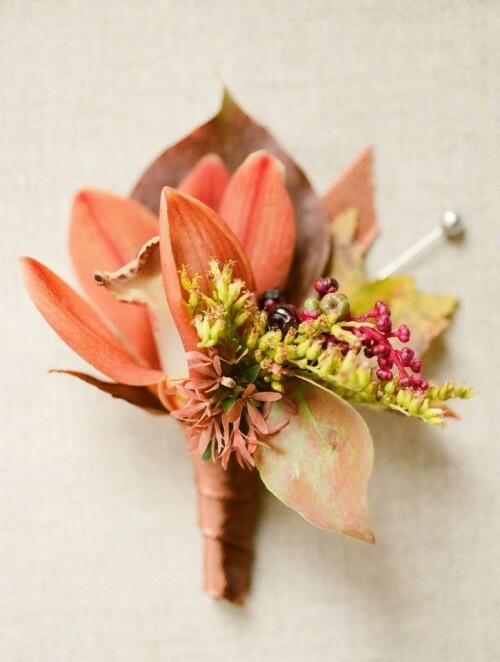 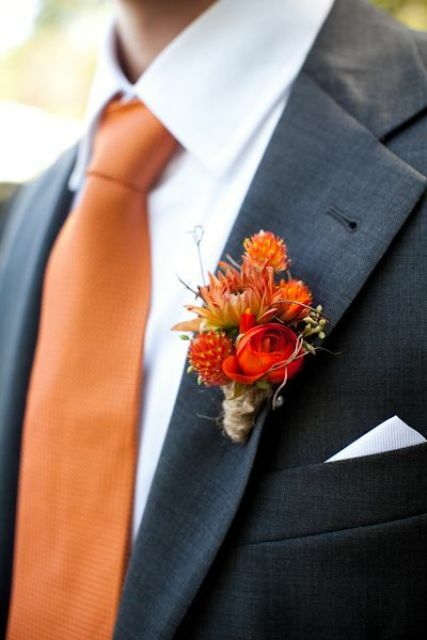 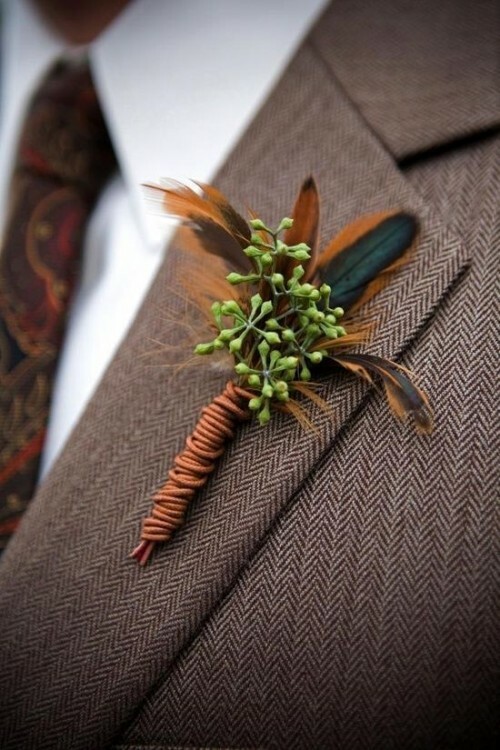 Don’t hesitate to choose a colorful fall boutonniere for your groom as it’ll look cool and trendy with any suit – dark or light. 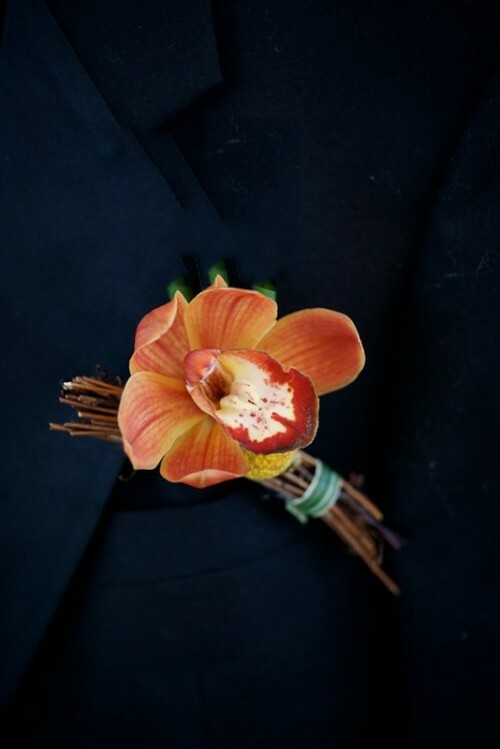 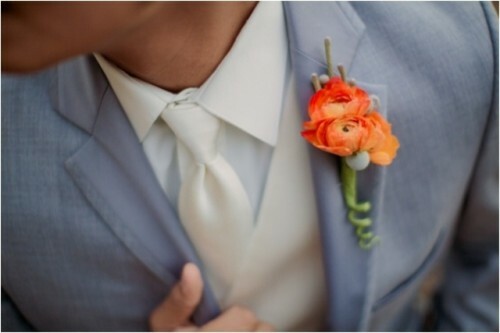 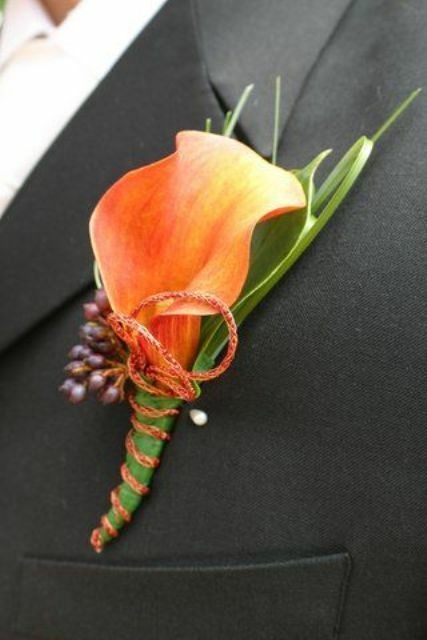 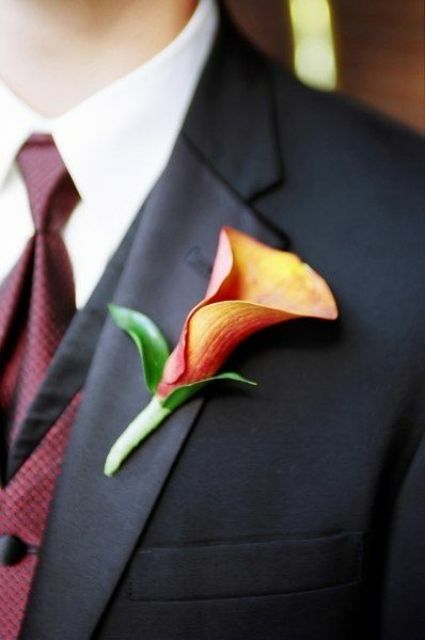 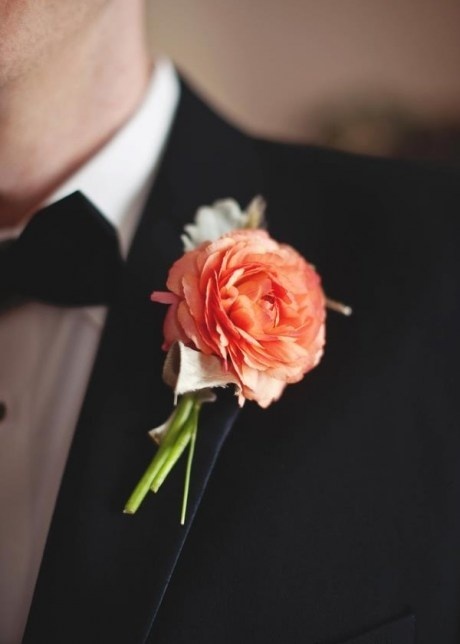 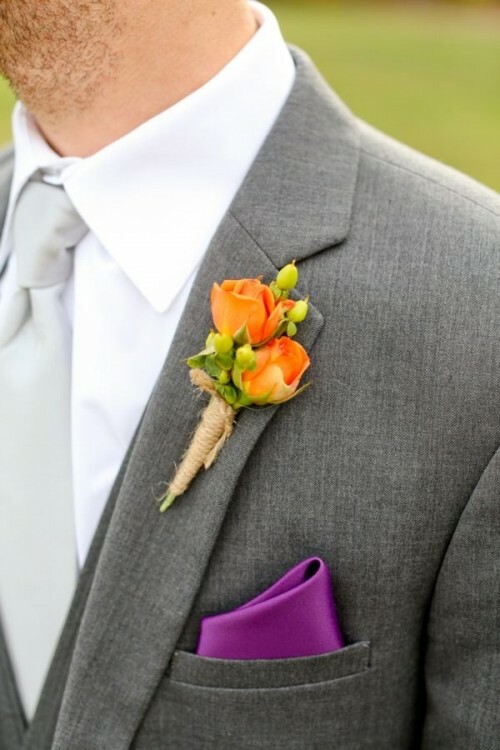 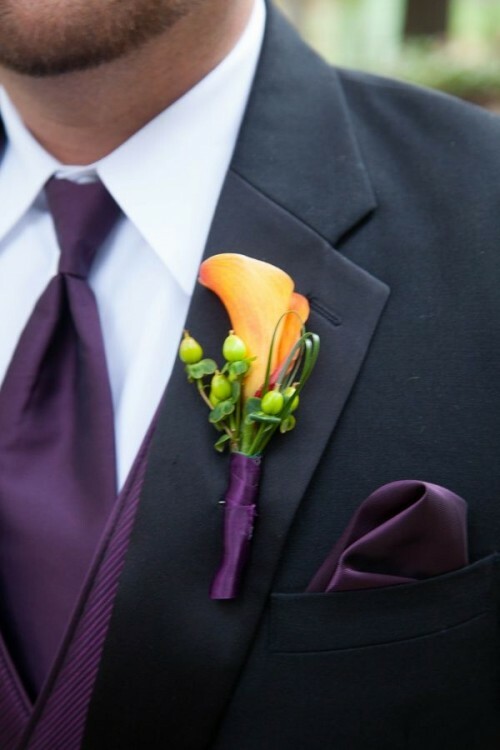 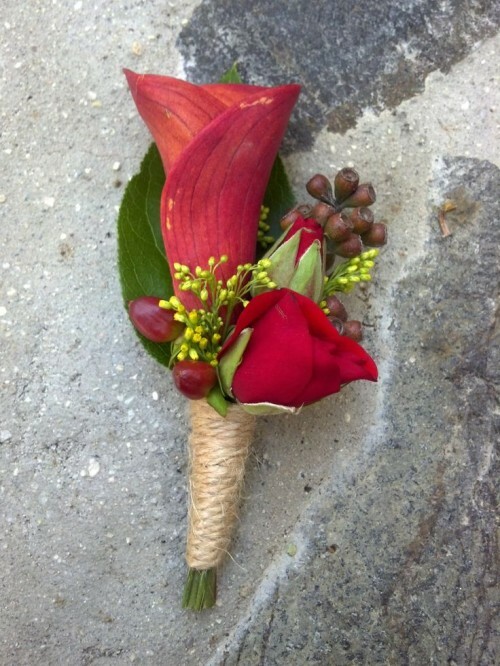 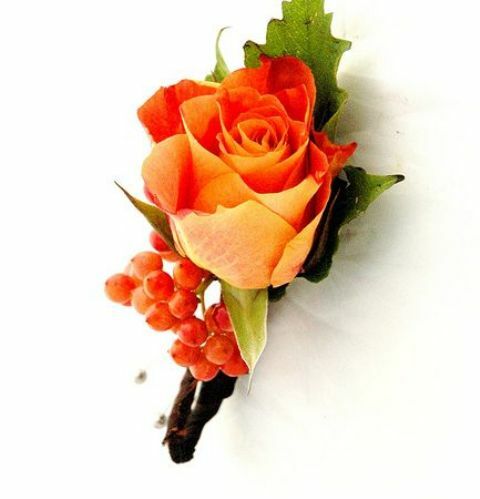 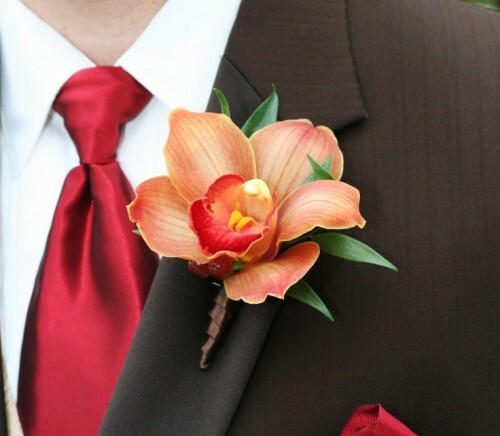 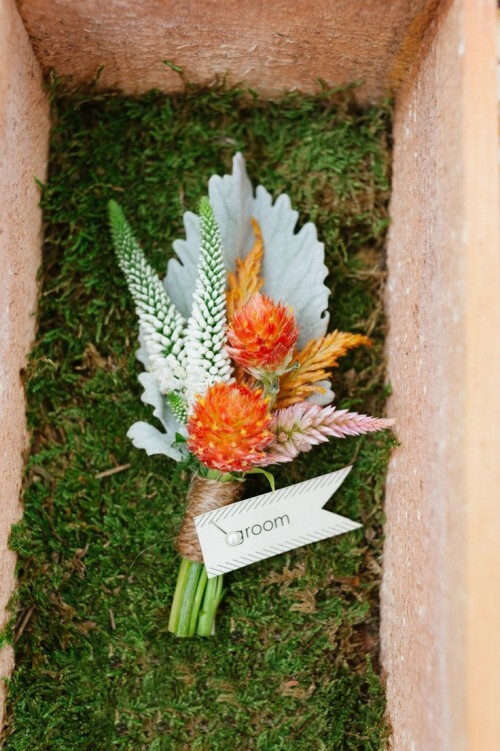 The most traditional idea is an orange or red rose for a fall boutonniere but if you want flowers but not very traditional ones, try callas or ranunculus – orange or dark ones. 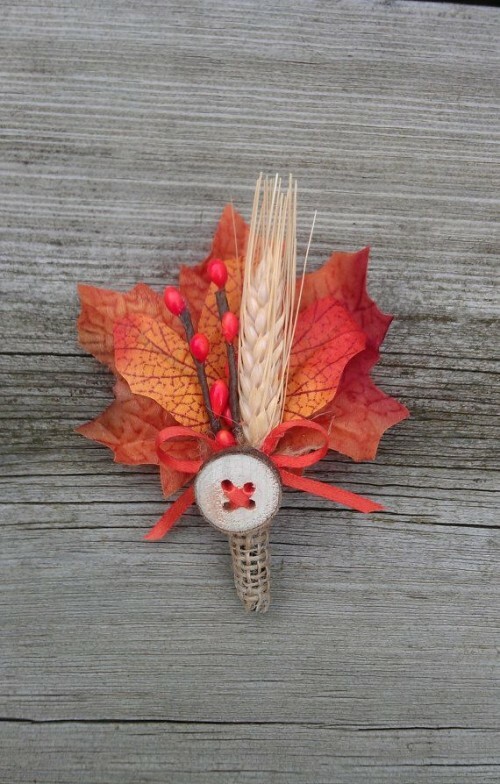 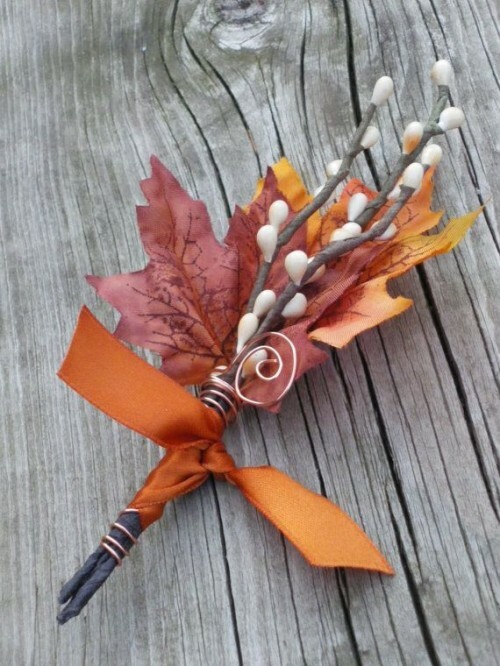 Using fall leaves and feathers for décor is also a cool and creative idea. 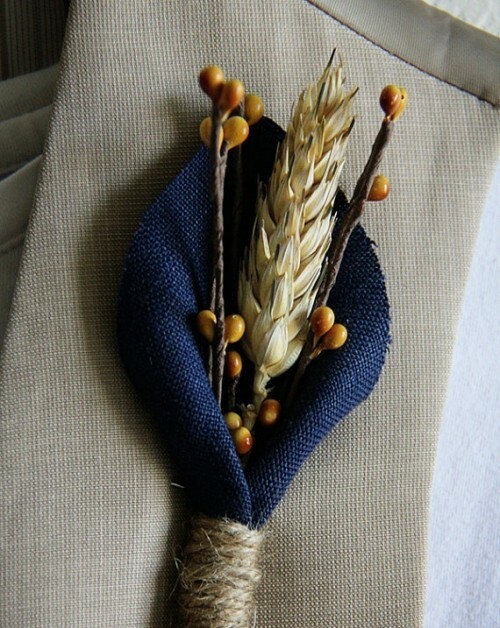 If you are looking for some neutrals, try wheat spikes and maybe some beads. 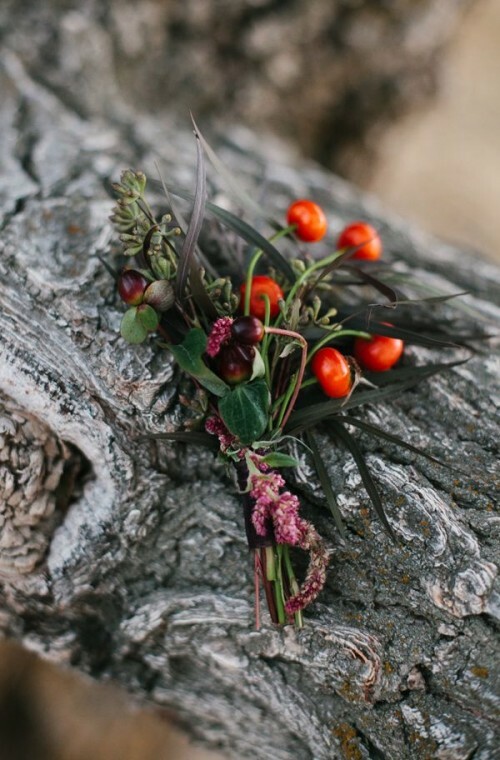 Get inspired by the pretty examples below!